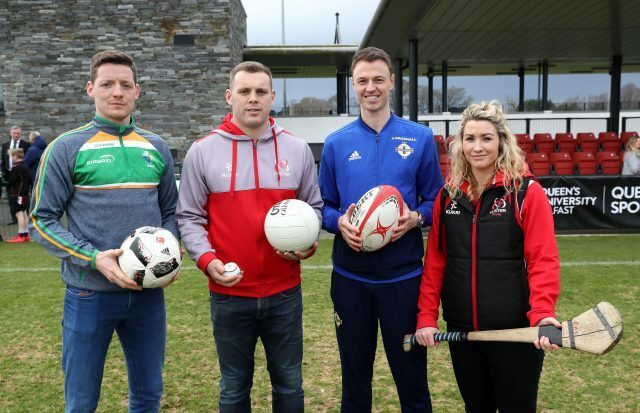 Ulster GAA, the Irish Football Association and Ulster Rugby recently launched ‘Sport Uniting Communities’ an EU PEACE IV funded programme which aims to promote peace and reconciliation. The collaboration project between the three bodies hopes to reach 17,000 people of differing backgrounds, particularly across the political divide, with the aim of changing perceptions and building sustained relationships. Research has shown that sport delivers its most positive impacts on behaviour when it incorporates integrated mentoring, training, volunteering and work experience programmes. Based on this research the project partners have designed a range of activities based on education, training, empowerment and leadership directed to volunteers and clubs. The launch, at Queen’s University’s Dub playing fields, was attended by Northern Ireland football manager Michael O’Neill, Northern Ireland’s Jonny Evans and Women’s captain Marissa Callaghan who were joined by GAA All Ireland winning Manager Pete McGrath, Monaghan GAA’s Conor McManus and Down GAA’s Jessica Foy along with Ulster Rugby’s Operations Director Bryn Cunningham, Ulster and Ireland International Darren Cave and Ulster’s Eliza Downey. 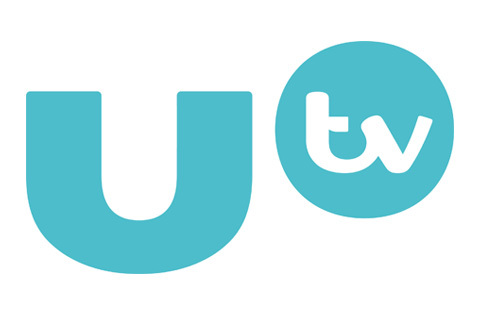 On the day, players from the Ulster Ladies Gaelic Football Colleges All-Star team, Northern Ireland Under 19 ladies team, Ulster Rugby Team, Dungannon Team and Syrian Team had the opportunity to participate in a range of ‘Have a Go’ activities in each of the three sports. These activities were delivered by Community Sport Development Officers from the three governing bodies whose responsibility it will be to deliver the programme across the province. Elite players from GAA, football and Rugby passed on their expertise and shared stories of their involvement in other codes. 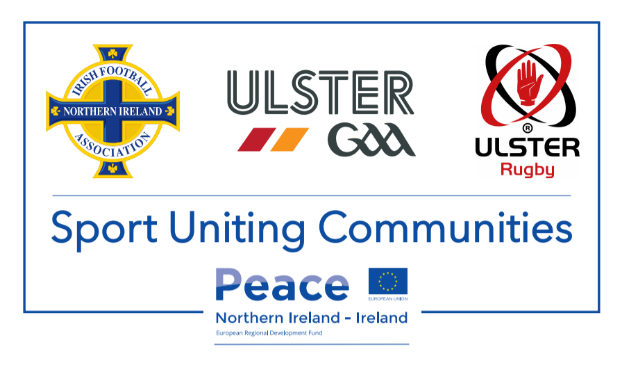 The Sport Uniting Communities programme is delivered across the province of Ulster with support from the EU PEACE IV programme and managed by the Special EU Programmes Body.